Unregulated loan owners hold 17% of all mortgages in arrears over 720 days. Eight per cent (58,048) of them are held by regulated retail credit firms while the remaining 2% (11,531) is held by unregulated loan owners, often described as vulture funds in Ireland. A further breakdown shows the amount of those accounts that have fallen into arrears – totalling 10% of all those accounts that are behind in their payments. Vulture funds now hold 13% of all mortgages in arrears over 90 days (coming to 5,802) and 17% (4,784) of all mortgages in arrears over 720 days. You couldn’t make it up. We now have a situation were unregulated entities have 17% of the people who are in long-term arrears. Hall raised concerns about the Central Banks collection of these figures when it “technically doesn’t regulate the entity that has supplied you with the numbers”. A spokesperson from the Central Bank told TheJournal.ie that mortgages owned by unregulated loan owners (ULO) are “absolutely” still subject to the Code of Conduct on Mortgage Arrears. According to the Central Bank, consumer protections travel if a loan is sold to a ULO. It added for that reason, and because it imposes various reporting requirements, it collects data on ULOs. This means the borrower never actually gets to speak or make contact with the organisation or fund which owns their loan, and ultimately make the decision about restructuring the mortgage or loan, or who have the power to offer solutions. Legislation to regulate vulture funds put forward by Fianna Fáil has just passed final stages in the Seanad – and that will allow the Central Bank to take enforcement action directly against overseas funds known as vulture funds who operate in Ireland through middlemen. Fianna Fáil spokesperson on Finance, Michael McGrath echoed Hall’s concerns about the rise in the number of loans owned by non-bank entities. Given the current Government policy, I would expect this trend to continue. Legislation to regulate vulture funds put forward by Fianna Fáil has just passed final stages in the Seanad this week and will be soon signed into law. This legislation will regulate the key decision makers for the first time. The Central Bank’s statistics found that a total of 64,510 private residential mortgage accounts were in arrears at the end of September, a decrease of 1,918 accounts or 2.9% over the quarter. The number of accounts in arrears over 90 days also fell by 1.7% over the quarter. 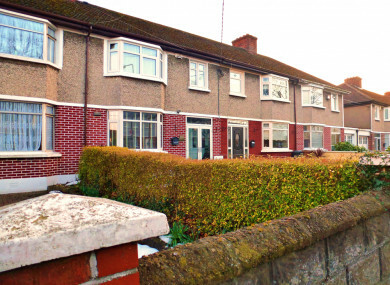 Deputy McGrath said that while it is positive that the number of mortgages in arrears continues to reduce, the pace at which the number of mortgages in arrears is falling appears to be slowing. “Since Quarter 4 in 2017, only 1,000 family home mortgages in arrears by over two years were addressed. At this rate it would take around 27 years to address these mortgage arrears cases,” McGrath said in a statement. The Central Bank’s data also shows that lenders are currently in possession of 3,267 properties, which McGrath said was unacceptable “given that we are in the midst of a housing crisis”. Of the primary dwellings in arrears, 103 are in the possession of retail credit firms, while 160 are in the hands of unregulated home owners. A total of 161 properties were taken into possession by lenders during the quarter. Of the properties taken into possession during the quarter, the majority of properties (93) were voluntarily surrendered or abandoned. The remainder (68) were repossessed on foot of a court order. Email “Almost 7,000 loans in arrears held by 'unregulated loan owners'”. Feedback on “Almost 7,000 loans in arrears held by 'unregulated loan owners'”.